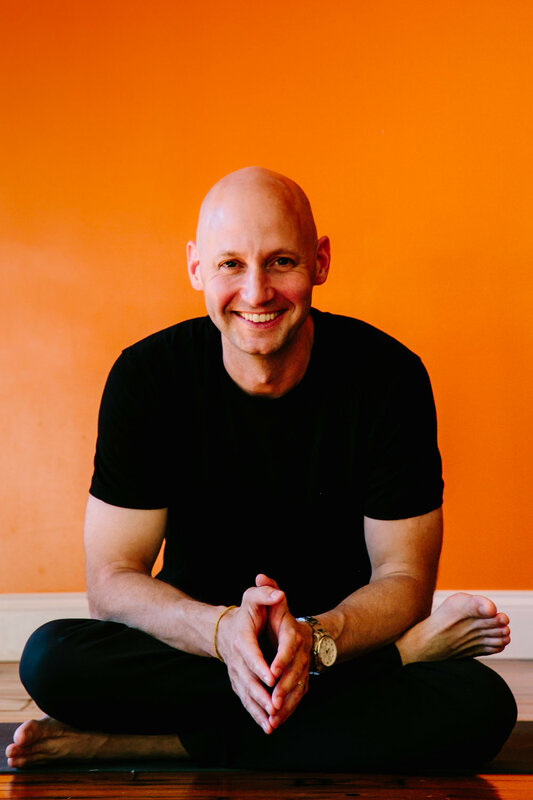 Josh Summers seemingly does it all when it comes to mind, body, and soul maintenence: he’s a yin yoga instructor, licensed acupuncturist, meditation instructor. Not only that, he’s a published author, host of the podcast Everyday Sublime where he talks about the intersection of yin yoga and meditation and how it can help you live a better life every day. We are thrilled to welcome him into the Strong Process fold for our book signing and wine tasting event Sunday, July 22nd. We sat down with Josh to learn more about him, about what mindfulness is (and isn’t), and how to incorporate it into our everyday lives. Q: Tell us how you got into health and wellness as a career. Was this the career path you always saw yourself going into? A: In terms of careers, I never had much direction. Coming out of university the big four options were: medicine, law, business and education. None of them appealed to me. But during university, I found yoga, which helped my (undiagnosed) depression. So after graduation, I went East, looking for a deeper connection to yoga's roots. I spent time teaching English in Taiwan (where I encountered acupuncture) as well as time teaching 7th grade in India, where I connected more with yoga. A career of acupuncture and yoga/meditation slowly emerged over many years. Q: What is a typical day like for you in terms of mindfulness and movement? A: Not sure I have a typical day, but my ideal day would start with coffee and the New York Times. Then some time for meditation, usually followed by a walk with my dog. And then some kind of exercise, either yoga or body weight conditioning. Q: You do a lot of different things (acupuncture, Yin Yoga and Meditation workshops and teacher trainings, retreats, online courses and a podcast). How do you stay present and ‘in the moment’ during what seems like an busy work schedule? A: The art of staying in the present moment has more to do with how you define what the present moment is. If we define it narrowly as "in the here and now sensory experience free of thoughts about the past and future," then being present becomes very difficult, and I would argue, not very practical. But if we let the present moment include the totality of our life, that is sensory experiences AND our second universe inside our minds of thoughts, feelings, and emotions, then cultivating greater presence towards all of that becomes more do-able, and I would suggest, more practical. At any rate, the latter is how I approach the cultivation of mindfulness. Q. What is your advice for someone looking to incorporate more mindfulness into their daily life? Any tips for beginners? A: My biggest advice is for folks to try and drop the ideals many people have internalized about what mindfulness is, or what being ‘present’ means. I see mindfulness meditation as a way to slowly train a whole range of mental faculties that increase one's ability to see, understand and better relate to all aspects of their lives. Being mindful doesn't mean you move in slow motion, it doesn't mean you have zero irritation or reactivity. Developing greater mindfulness in your life is closer to heightening your awareness to all that is occurring while simultaneously increasing your capacity to respond more effectively to what's happening. Q: Your new book The Power of Mindfulness (co-authored with Amy Baltzell), is about using mindfulness to enhance performance in athletes. What is the most common distraction for those who compete and how can one empty their mind in competition or other high stress events? The most common distraction for people in competition is maladaptive, ruminative thinking. In other words, negative thinking that hijacks your capacity to focus and attend to the task at hand. In our book, we step away from the idea of trying to empty one's mind of this kind of thinking. Instead, we use mindfulness strategies to help athletes and performers better manage and tolerate these kinds of thoughts so that even when this kind of thinking is present, the athlete can still perform optimally. A paradoxical strategy that Dr. Baltzell has found extremely helpful is that in cultivating greater self-compassion for themselves, performers are able to increase their tolerance capacity towards negative rumination and thereby perform better. Q: What is the most outlandish mindfulness/yoga “fact” you’ve heard or read on the internet? This isn't outlandish because it is the result of a very credible study performed by Dr. Helene Langevin here in Boston, but she found that gentle passive stretching (the sort we do in Yin Yoga) reduced breast tumors in mice by 52% compared to a control group that was not stretched. This is pretty amazing. That yoga and mindfulness aren't required to live a happy, fulfilling life. With the widespread mainstreaming of mindfulness, I've heard people feel guilty or shamed for not practicing. I think that's too bad. For some, yoga and mindfulness are very helpful. For others, running and community service enrich their lives. By all means, check out what yoga and meditation might offer, but if it's not your thing, go find what makes you come alive. I'll paraphrase the late jazz trumpet player, Clark Terry: Imitate, Integrate, Innovate. To learn to play jazz, you need to imitate (the masters), assimilate (internalize the practice), and innovate (create something new).